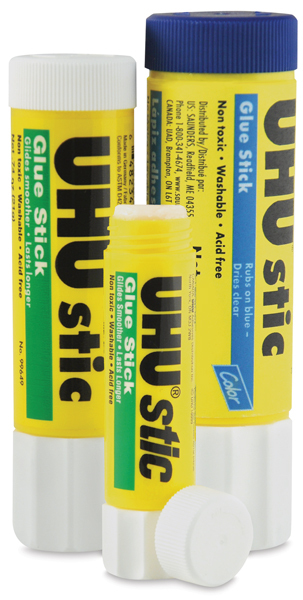 UHU Stic Glue Sticks are acid-free and non-toxic.The glue washes completely out of clothing. The same as the Color Glue Stick, but its application is clear. ® UHU is a trademark.